For the second time this decade, the US economy is sinking into a recession due to the collapse of a financial bubble. The most recent calamity is likely to produce a downturn deeper and longer than the stock market crash of 2001. Dean Baker argues not only that competent economists should have recognized the developing housing bubble, but also that policy makers and the media cheerfully neglected those economists who did predict danger. Baker doesnt engage in 20-20 hindsight, but documents the fundamental policy changes since 1980 that destabilized the economy and eroded the broad prosperity of the post-war period. 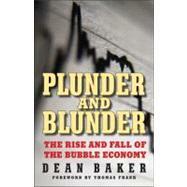 His expert analysis explains the outcomes clearly so we can prevent similar financial disasters in the future.